2016 Toyota Prius vs. 2016 Chevrolet Volt - Which is the Better Choice? 2016 Toyota Prius vs. 2016 Chevrolet Volt – Which is the Better Choice? Up until last year, the battle between these two vehicles was lopsided. In 2014, Toyota sold 122,776 units of the Prius in the US. On the other hand, Chevrolet sold only 18,805 units of its Volt plug-in hybrid model. The main difference between the two is that the 2016 Toyota Prius is a non-plug in hybrid electric model, while the 2016 Chevrolet Volt is a plug-in hybrid. They both are some variations of a hybrid car, and they both have their strengths and weaknesses. But when you are in a dilemma on which one to buy, take a look at some of their differences. One of the biggest strengths of the 2016 Chevrolet Volt is that it can run on electric power for 53 miles, judging by the EPA rating. In gas only model, the Volt returns an EPA standard of 42mpg. Chevrolet claims that most of your trips will be within the battery range and you might never use the gasoline. However, during winter and cold days, the Volt will kick into what Chevrolet calls “Engine Running due to temperature” mode, which burns gas in order to give the engine some boost. 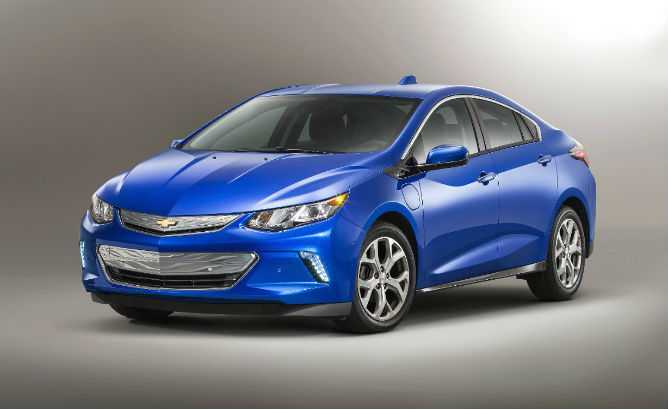 Apart than that, the 2016 Chevrolet Volt is an electric vehicle with gas as a backup. The 2016 Prius, on the other hand, offers 55 mpg in base trim. 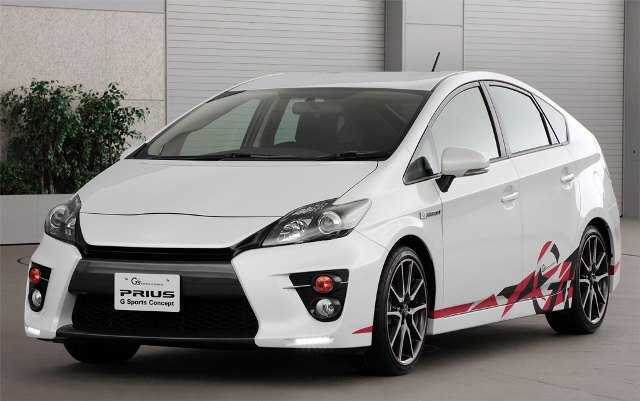 Toyota will also release an Eco version that should provide better mileage. Therefore, if your trip is below 100 miles, the 2016 Chevrolet Volt is the better option as it saves more gas. The trick is to stay within the electric mode with the Volt, which is quite possible given that daily trips are under 50 miles. However, for longer trips, the 2016 Toyota Prius is the way to go, because, as the mileage increases, the efficiency of the Prius increases as well. The 2016 Prius is a midsize vehicle, while the 2016 Volt is a small and compact vehicle. The result is that the Prius can fit five passengers without any problems. Technically, the 2016 Volt is a five-passenger car, but the middle rear seat can only fit kids or small adults. Leg room is also an area of strength for the Prius. Going deeper, the 2016 Toyota Prius also offers more cargo room with 94 cubic feet space for passengers, while the Volt offers 90 cubic feet passenger space. Even though power is not the deciding factor when it comes to electric vehicles and compact plug-in hybrids like the 2016 Volt and 2016 Prius, some people want faster acceleration. We are yet to see the cars in action, but some reports state that the 2016 Chevrolet Volt can sprint to 60mph within 8 and 9 seconds, while the 2016 Toyota Prius needs approximately 10 seconds. It might all come down to the pricing and this is where the 2016 Toyota Prius may win hands down. While the price is still unknown, some suggest it will be cheaper than the outgoing model, which costs $25,000. A price tag of $23,000 is very plausible and likely scenario for the 2016 Prius. On the other hand, the 2016 Chevrolet Volt has a price tag of $33,170 for the basic LT trim, while the premier trim costs $37,520. So which is your favorite pick? Share your views in the comments section below! I like the idea of a plugin hybrid and would probably buy the Volt over the Prius if the price were the same. But it would take an awful lot of oil changes and gas saved in the plugin mode to justify the price difference. Also the problems I had with my last Chevy Tahoe made me resolve to NEVER buy another GM product. Chevy would have to offer me a full warranty for all parts and labor for the first 100,000 miles to regain my trust. Obviously you are a Prius fan as you are stressing the best qualitys of the Prius while ignoring its weakness. You mention the price difference yet fail to mention that tax breaks for buying a volt that even the score. You don’t even mention the Total cost of ownership, which for the volt is far less, ( 1/4 as many oil changes as an example ) and 1/10 th the gas used on average. Fuel economy of the Prius can be highly dependent on season, climate, and driving style, and officially published figures from EPA even more unrealistic than they do with other cars. The Prius is old teck, and a face lift will not save it. The 2016 volt is clearly superior in every way. Wow, you call the writer “fanboy” but you are who lacks of arguments, what in hell makes you think the Volt is a better option apart from your “old tech” comment. Applying your logic, Toyota’s decision is the best for consumers, Toyota partially owns Panasonic and has access to its batteries (probably the best on market), if they don’t use them in this model now is for some important reason, and any slightly smart person can figure it out, they are not as reliable as nickel’s batteries and at the end of the day the range and performance is nearly similar in this case, although the Volt needs a little cable you can’t easily ignore. Sorry for the comment but the way you write is depressing. Raw speed may not be a likely comparative, but when you take off briskly in a Prius you instantly start the engine and begin losing mpgs. Also, if you go over 40 mph you again start the engine even after a wimpy start on electric. It is an exasperating driving experience. In a Volt in the same situation in ev mode, you will shorten your range with a small percentage of resulting empg loss. I am tired of having to baby my Prius in order to nurse mileage. A Volt seems a more logical way to save gas and yet have a modicum of “normal” driving.